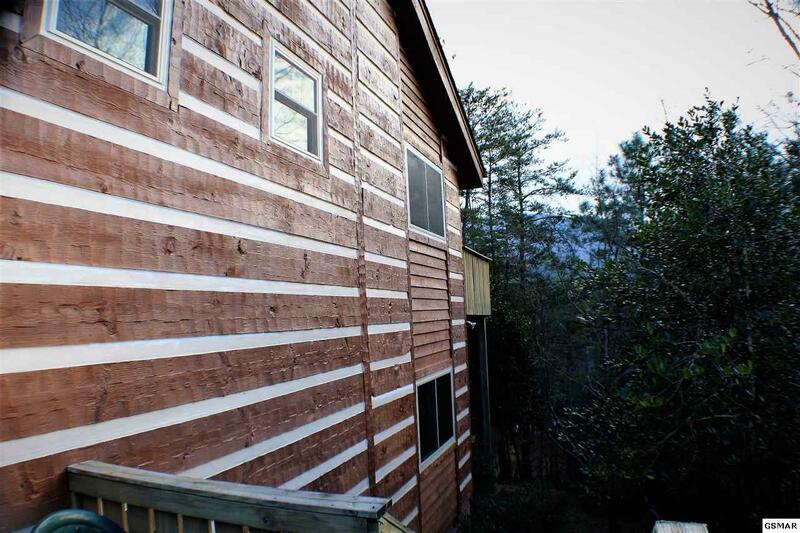 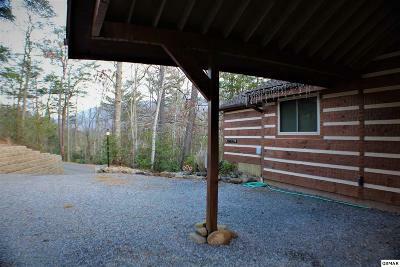 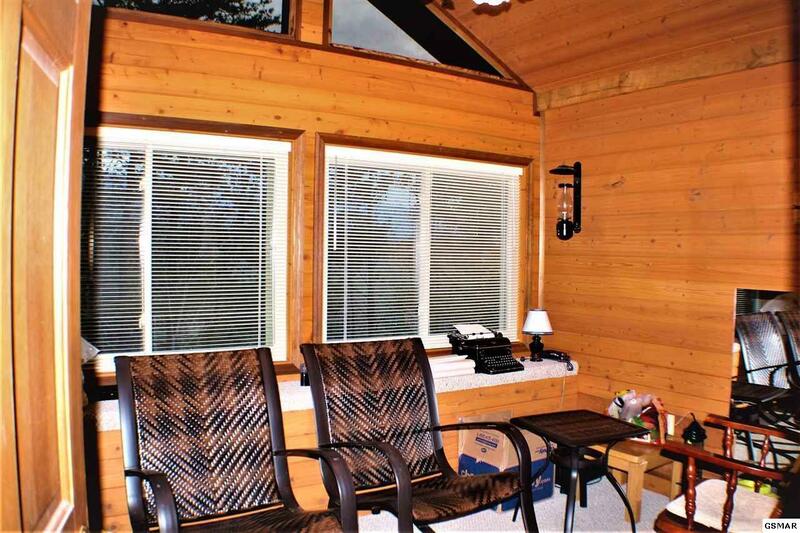 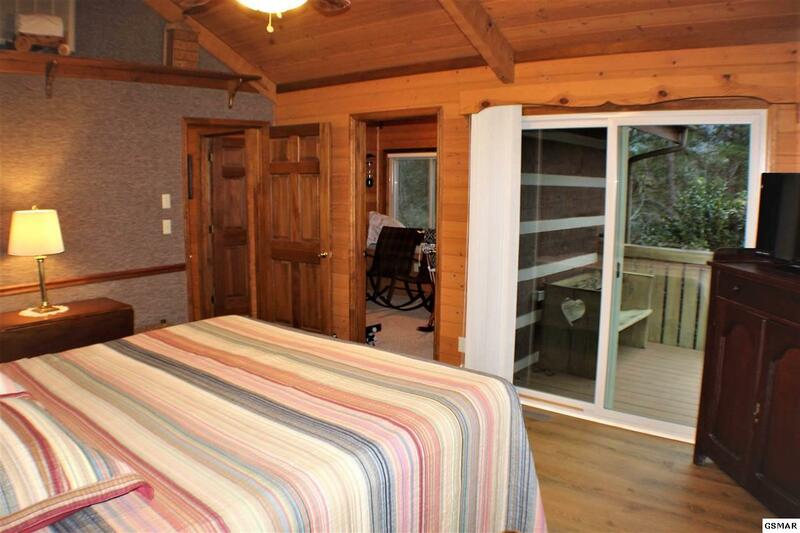 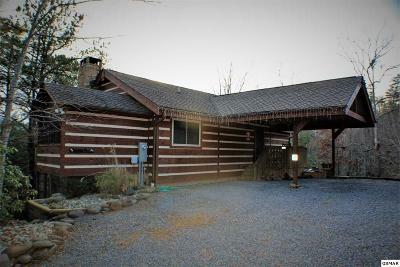 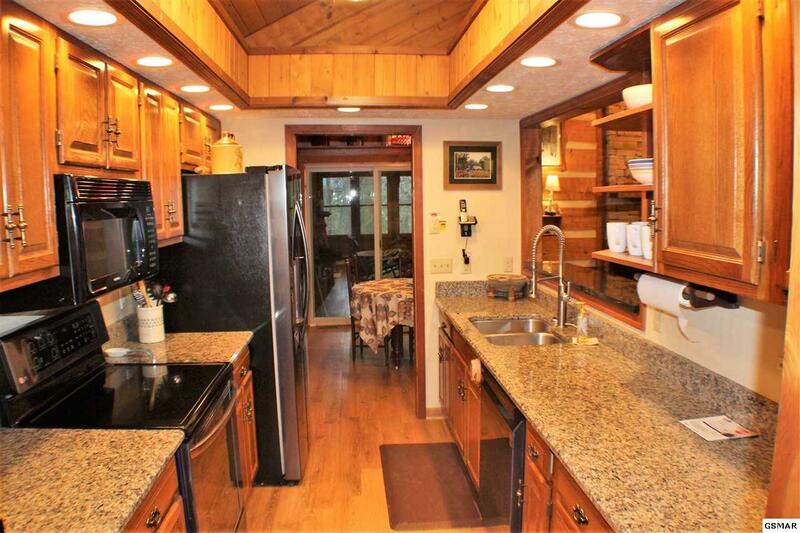 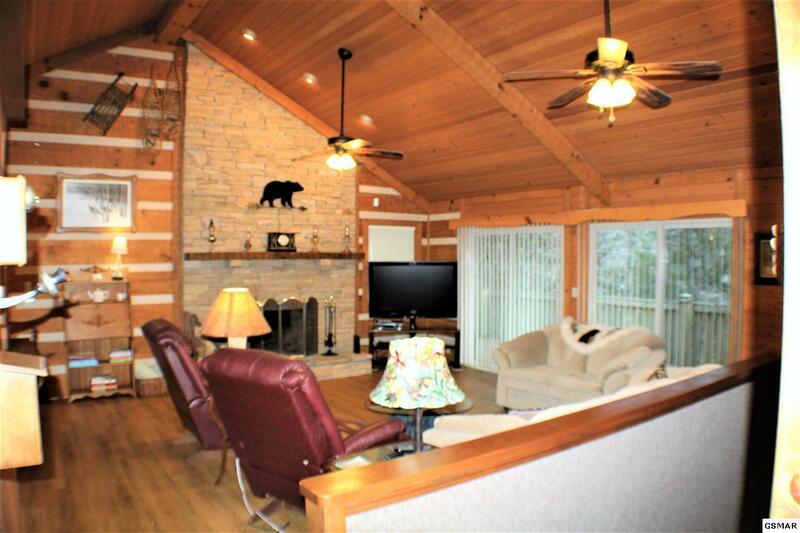 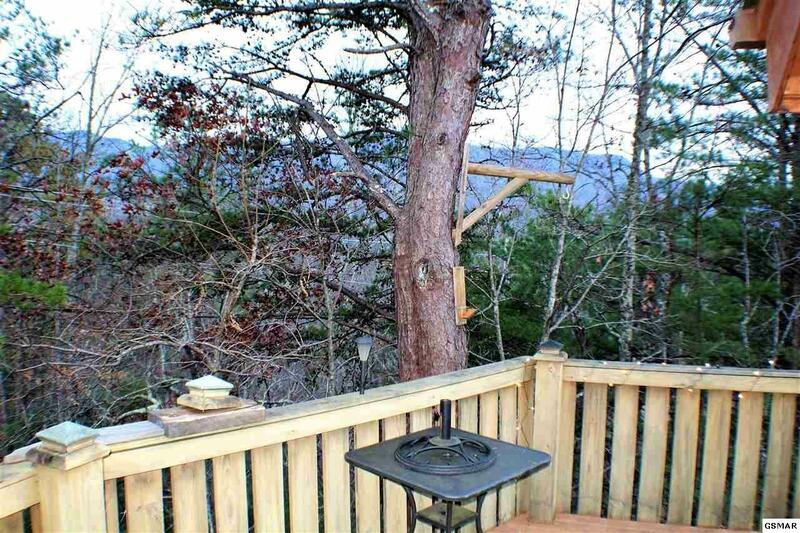 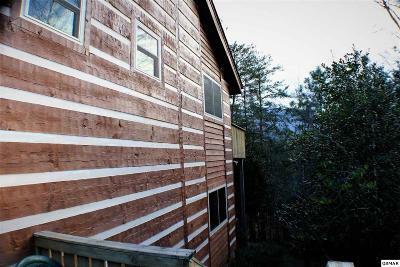 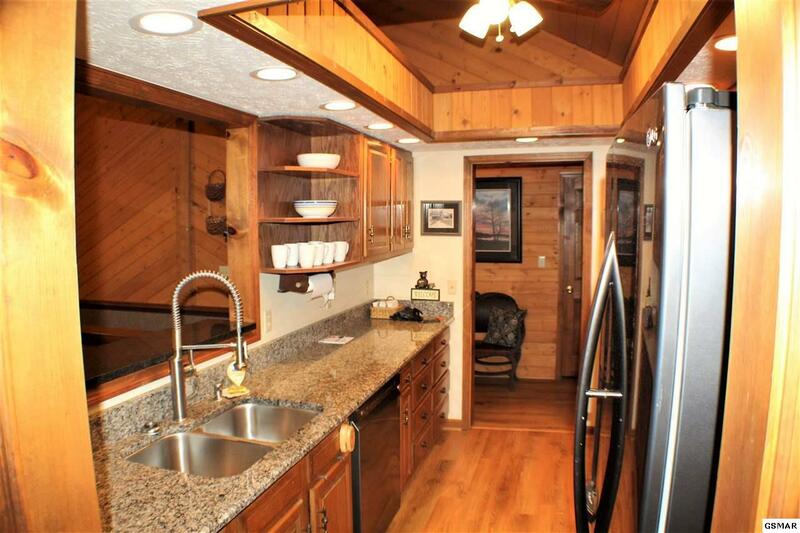 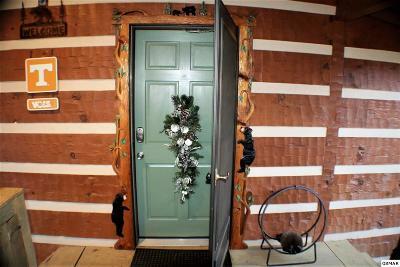 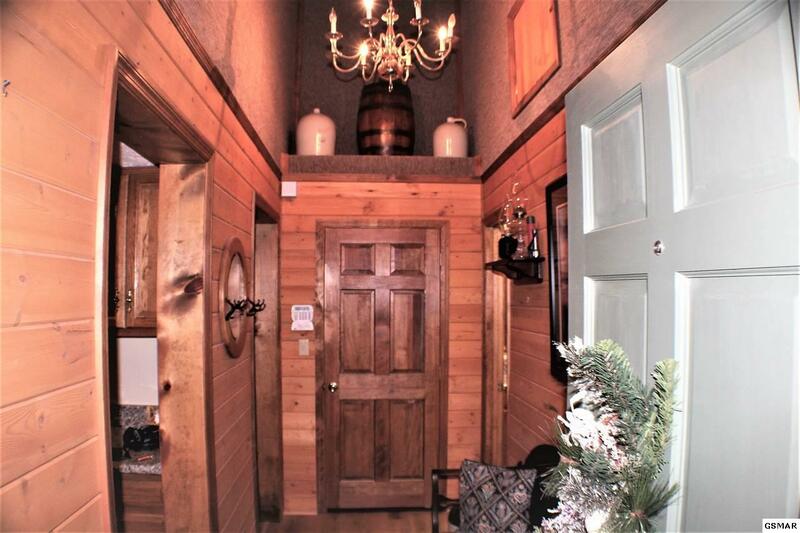 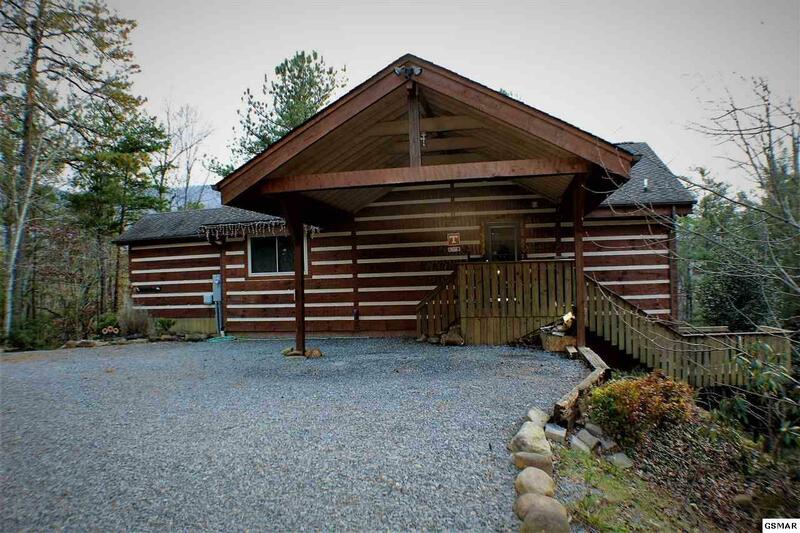 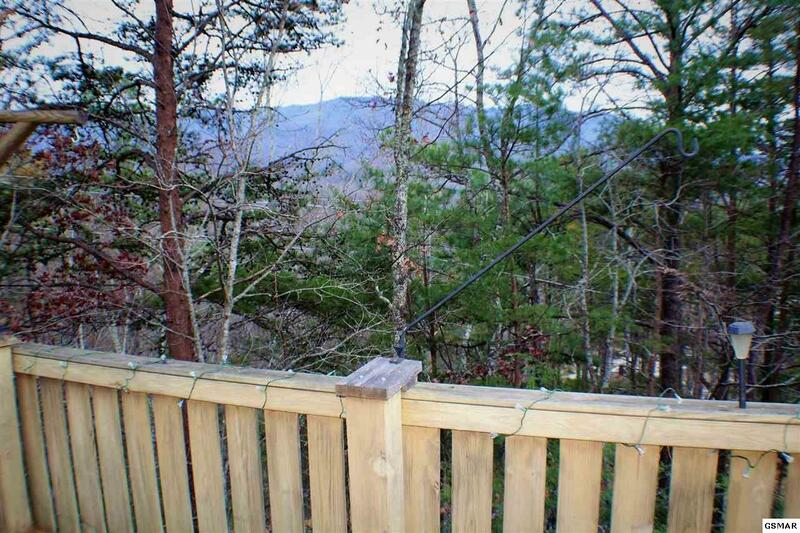 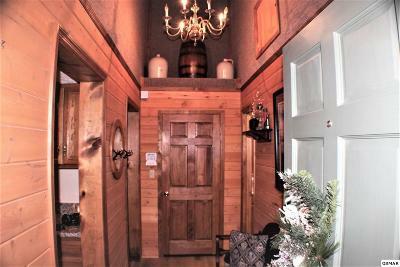 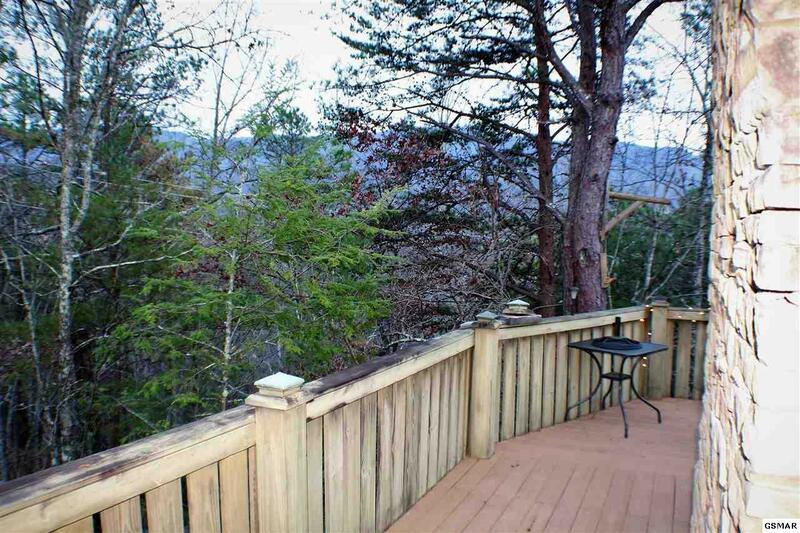 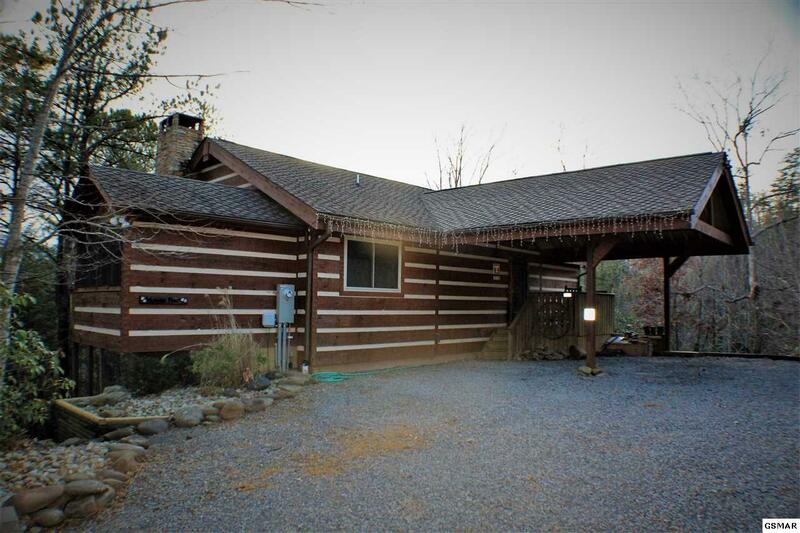 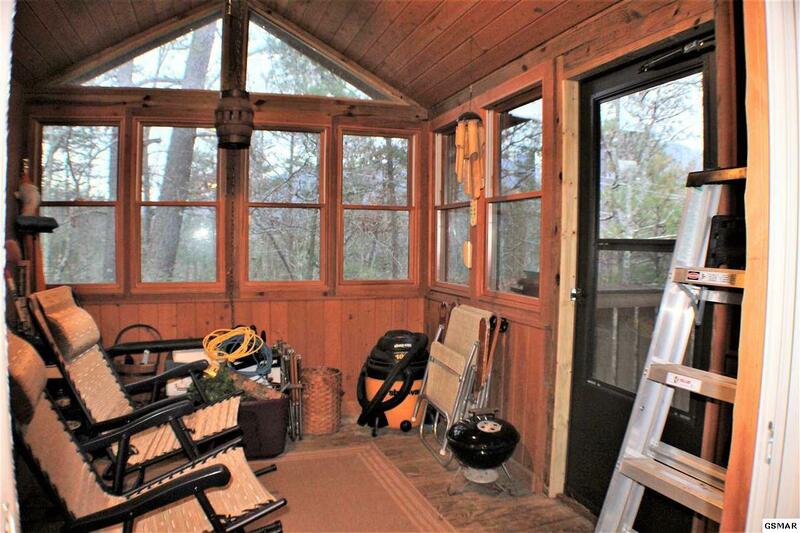 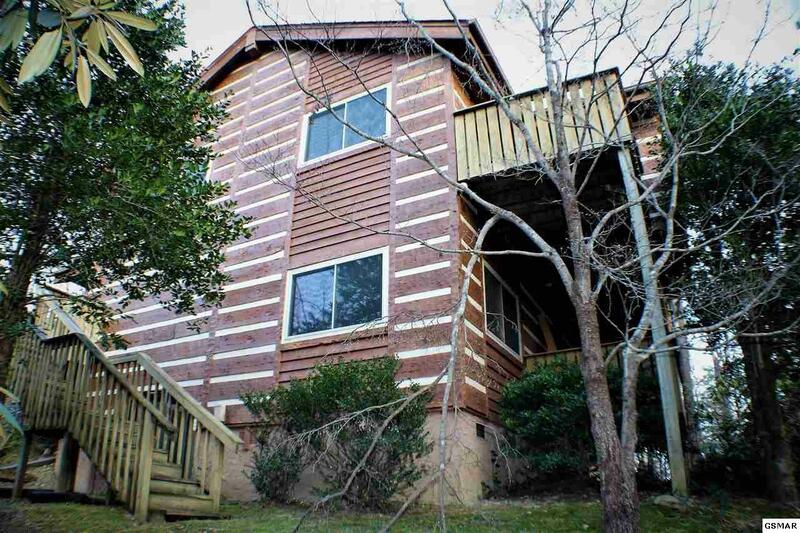 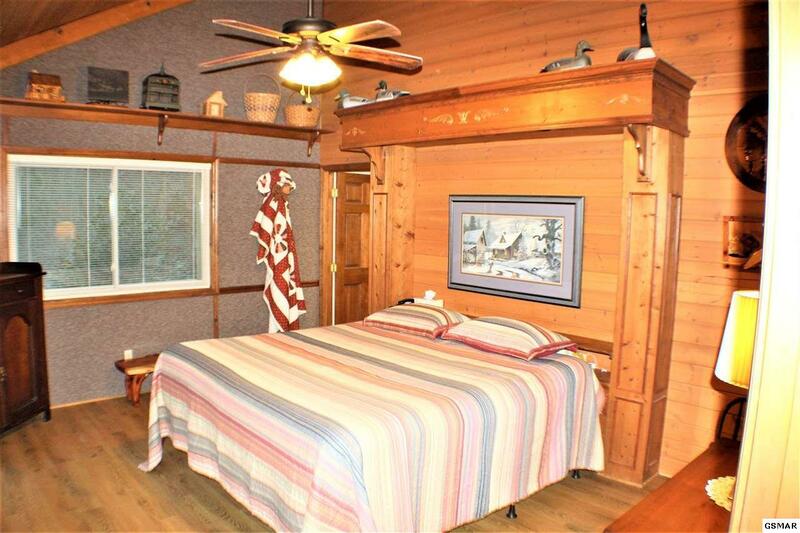 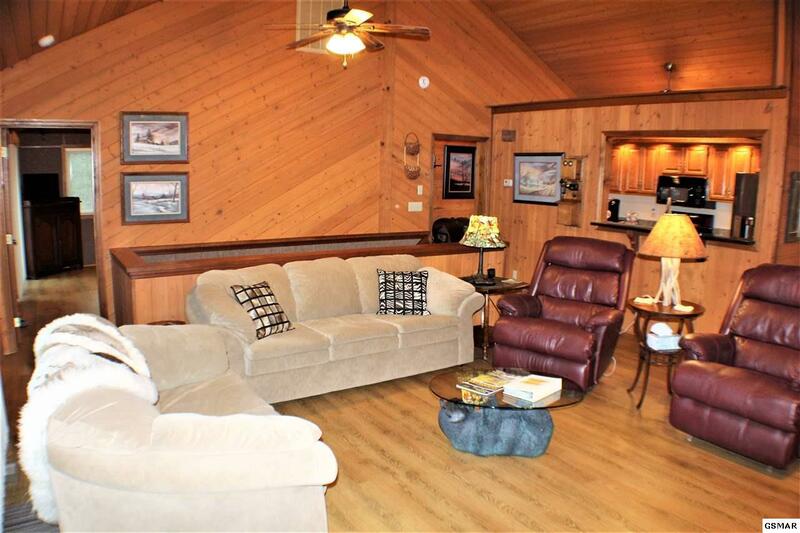 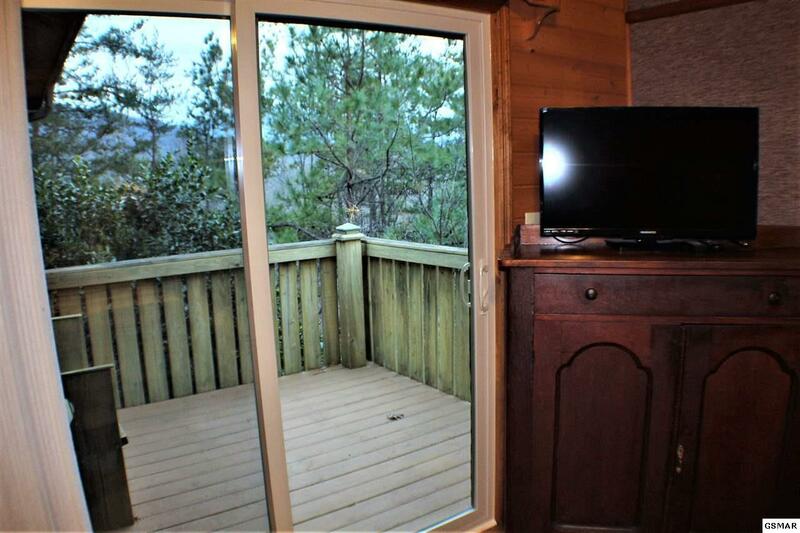 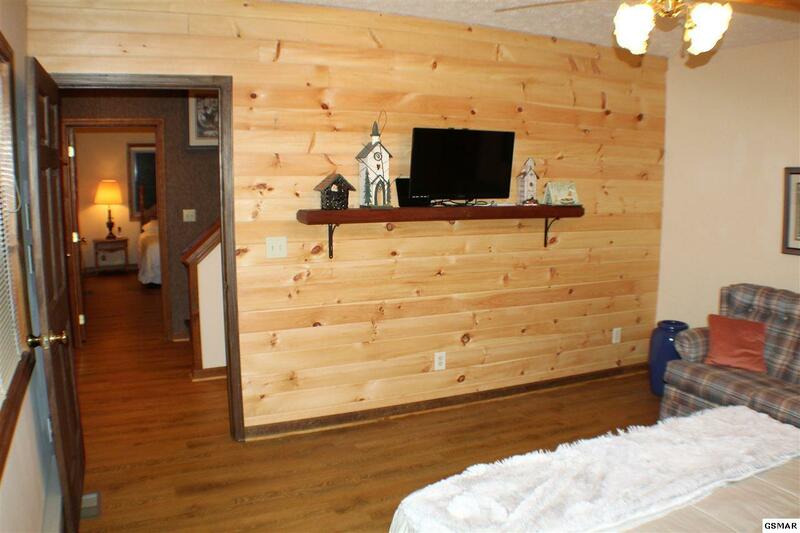 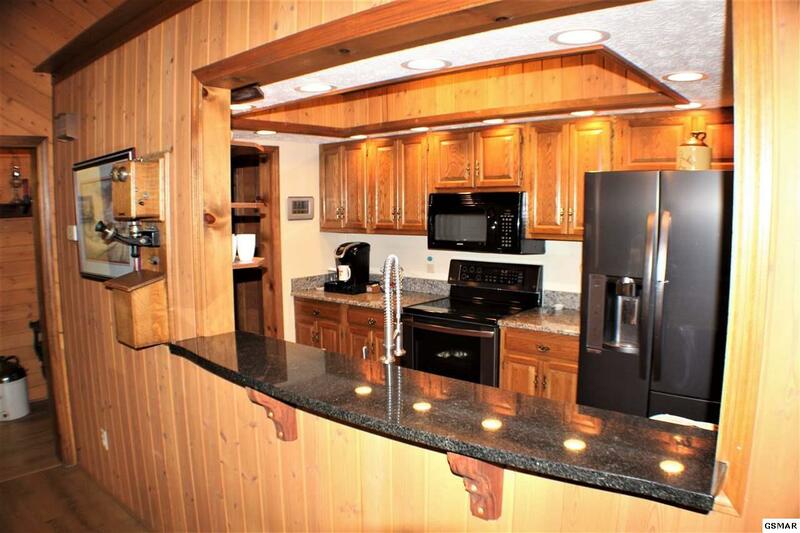 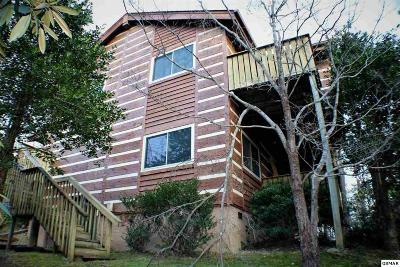 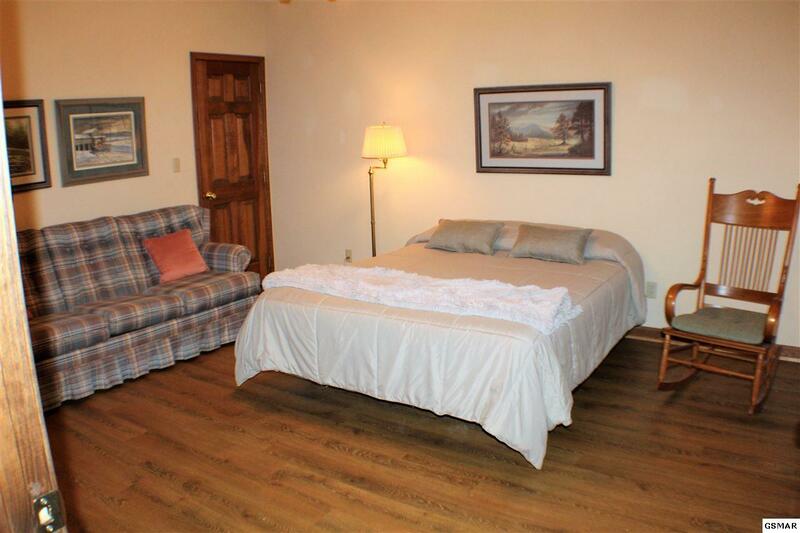 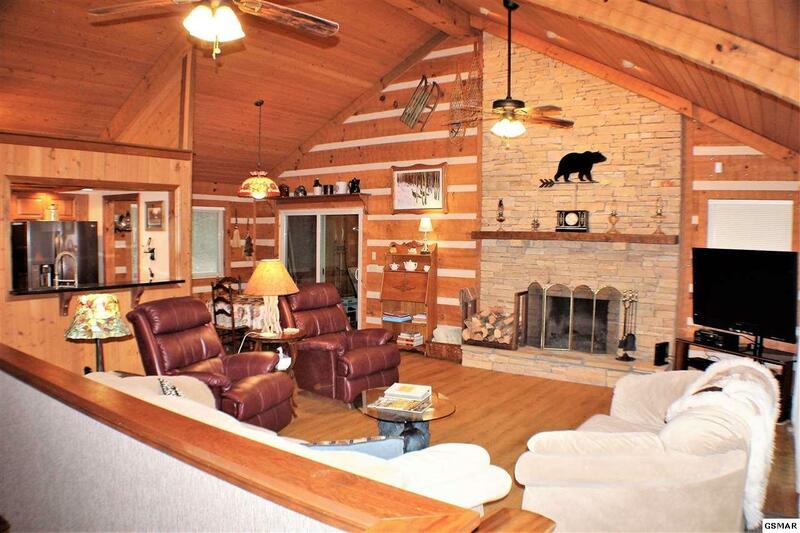 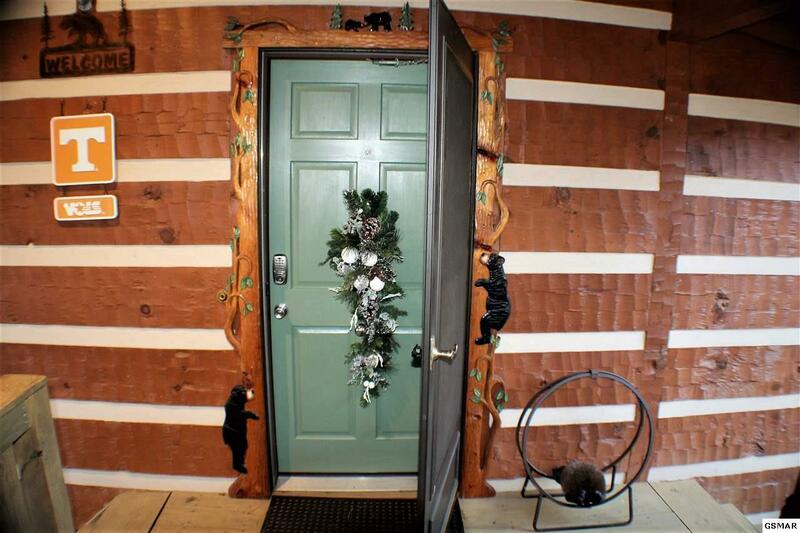 Remarkably well kept Log Look Home located in Cobbly Nob just above Bent Creek Golf Resort with good views of the Great Smoky Mountains National Park which offers many area hiking trails and recreation areas to enjoy. 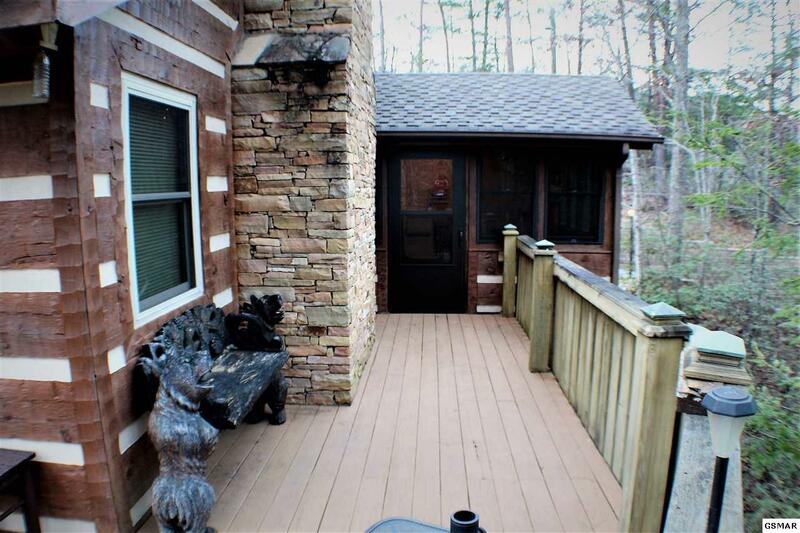 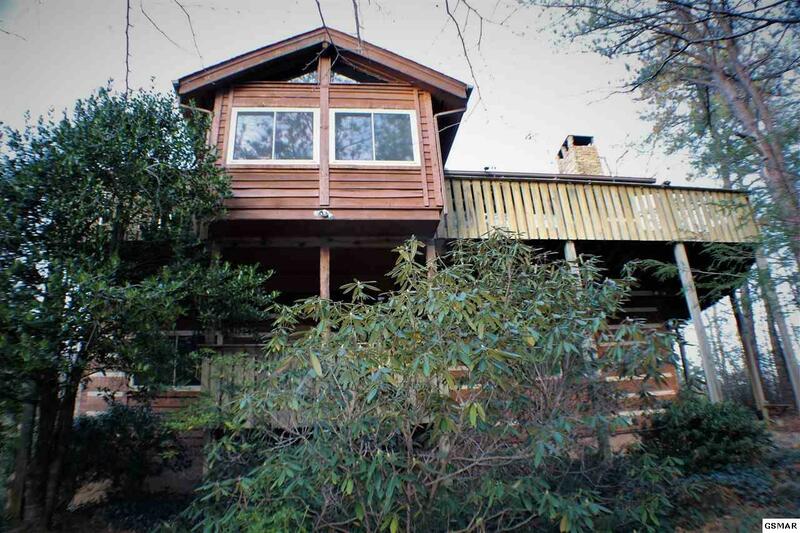 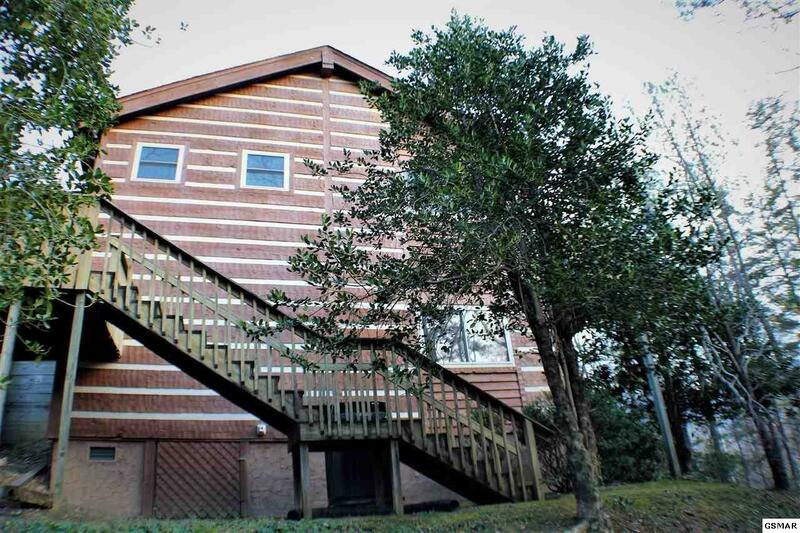 Exterior features include wrap around decking, two private decks, nice attached carport & entry area, large level parking area, wood storage shed, & wood deck staircase leading to lower yard area. 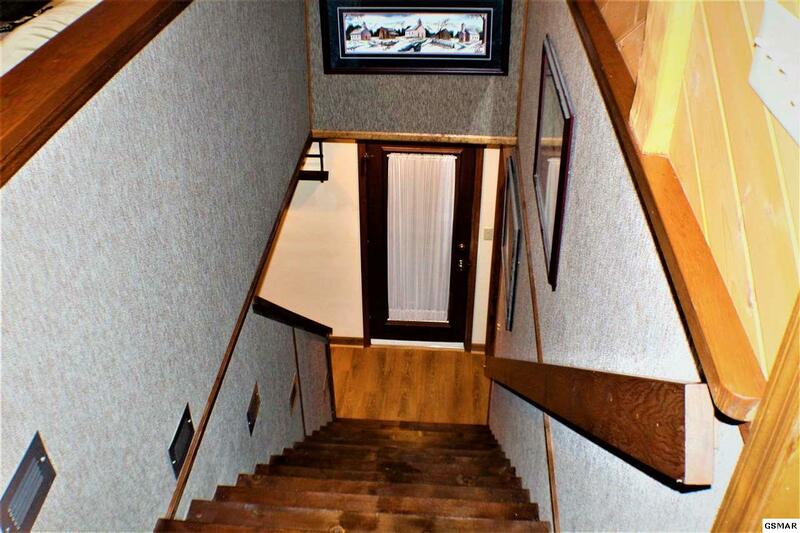 Interior features includes nice entry foyer with half bath & coat closet, cathedral wood ceilings throughout main level with beautiful floor to ceiling stack stone fireplace in the large open living, dining, & updated kitchen with granite counter tops & black stainless appliances, large main level master & en suite including walk in closet & large tiled shower, & great office or sun room area with nice mountain views. 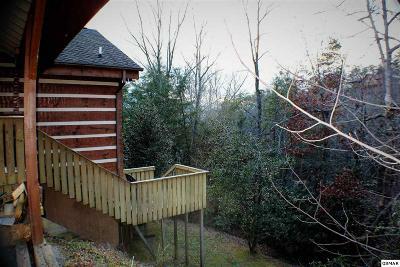 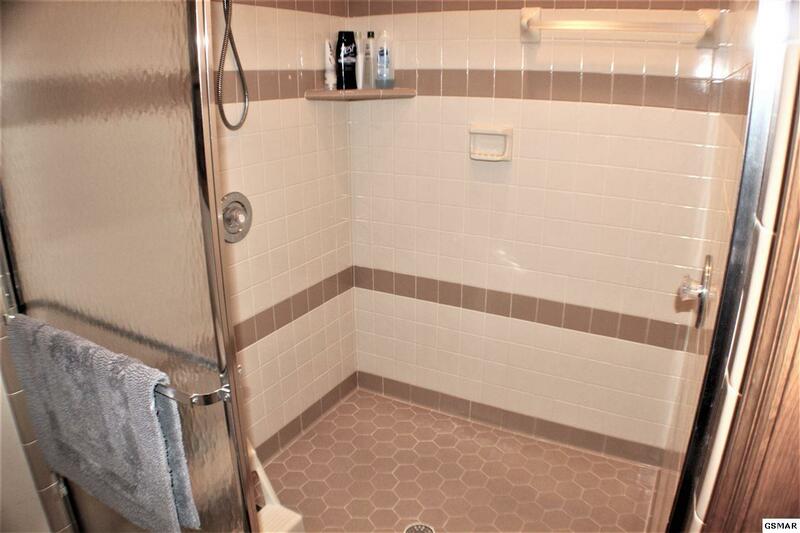 Lower level of home includes a private covered deck along with 2 large bedrooms, large bathroom, large laundry room with utility sink. 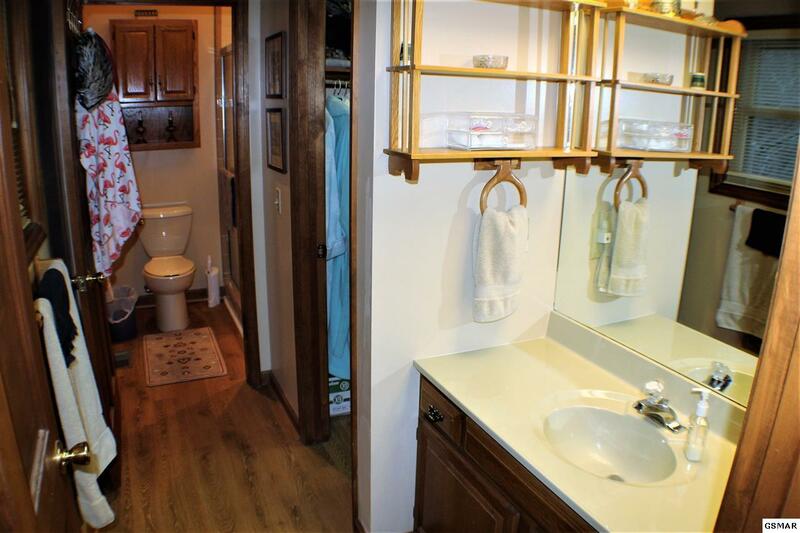 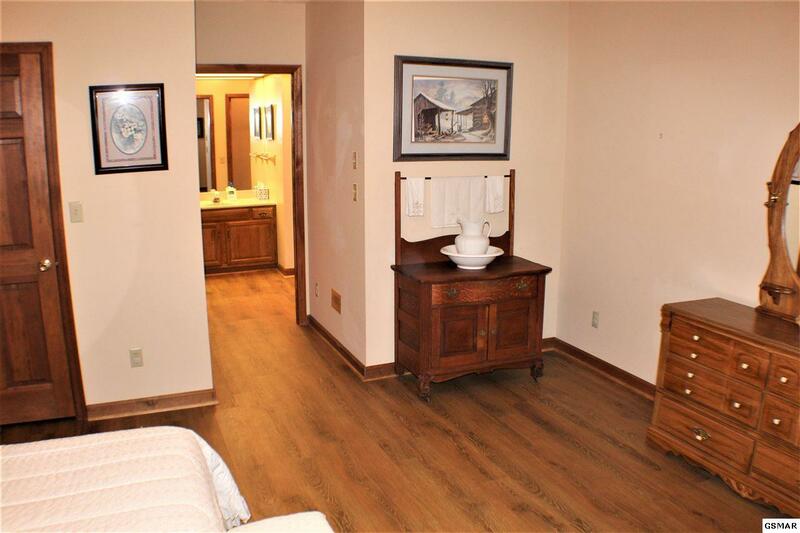 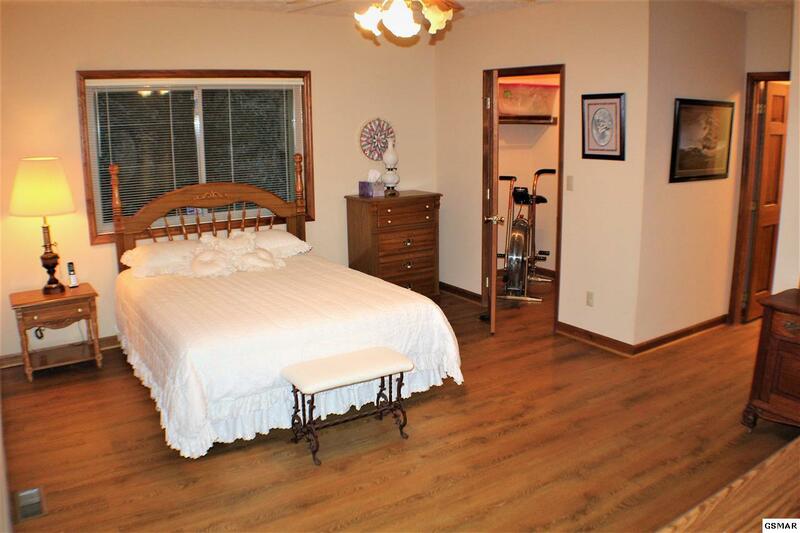 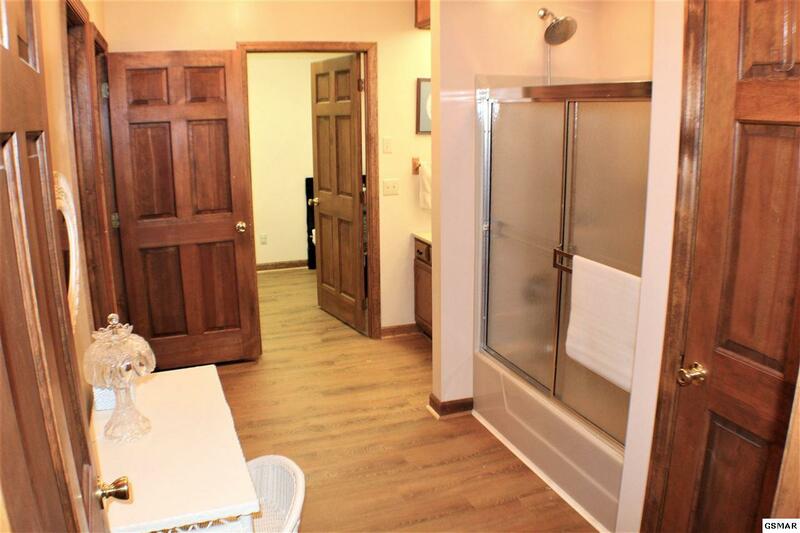 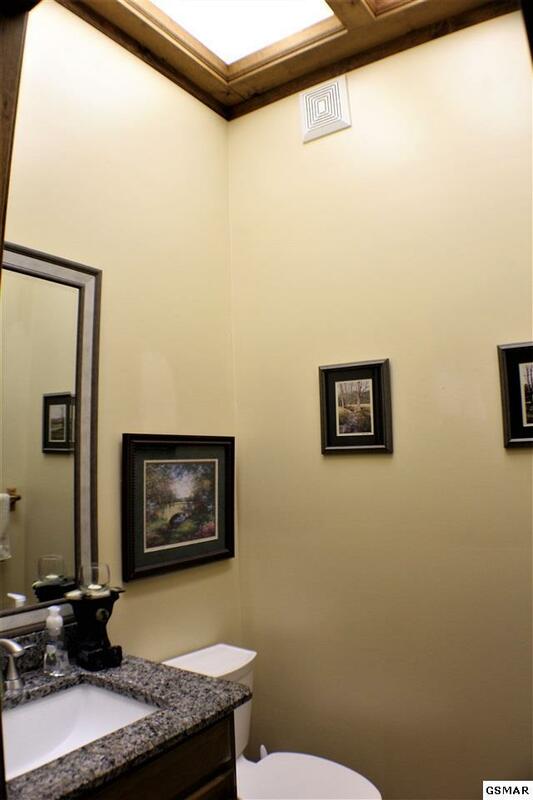 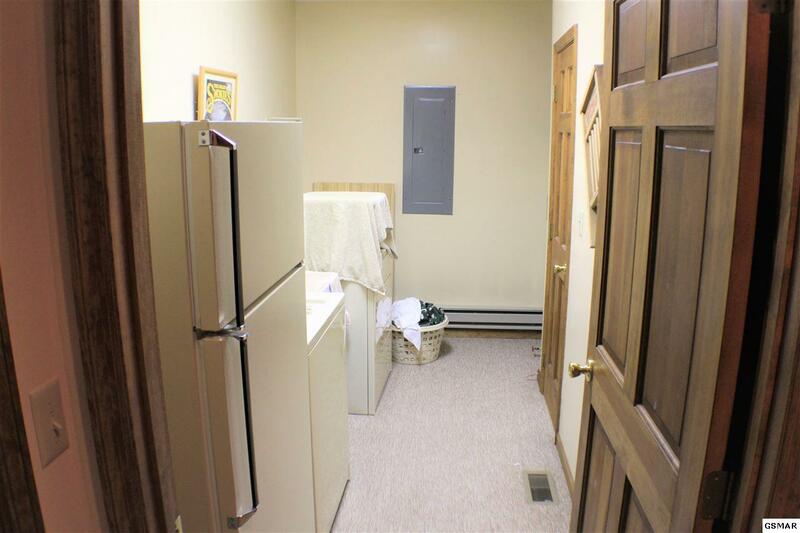 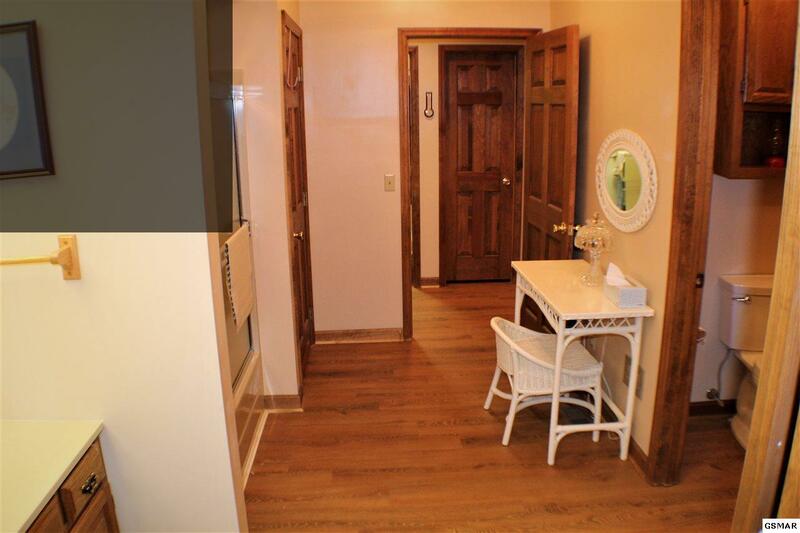 This home offers an abundance of walk in, linen, & storage closets & the lower level would be perfect for a large in-law or guest quarters.